The following summaries of past projects cover just a few of the company’s memorable projects, ranging from the time the ACO was associated with UCT, to the early days of ACO Associates cc. 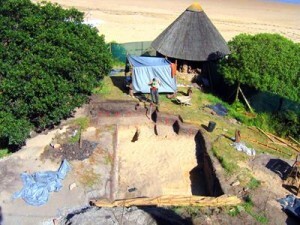 They cover a variety of archaeological research areas and assortment of excavation experience. The summaries are taken from personal accounts, published and unpublished reports. King Williams Town was established in 1835 by the Governor of the Cape Colony Sir Benjamin D’Urban, who attempted to create the Province of Queen Adelaide with King William’s Town as the capitol. The fortification, Fort Hill was built within what are now the grounds of Lovedale College. However, D’Urban’s ideas did not find favour in London and the province and its capitol were abandoned. Nine years later the new governor of the Cape, Sir Henry Smith created the Crown Colony of British Kaffraria, and re-established King William’s Town. 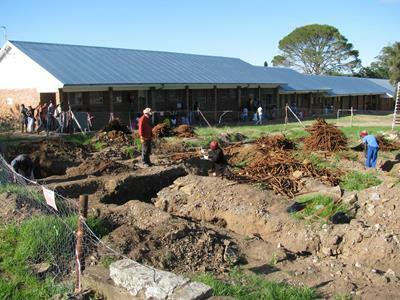 Thus began the construction of a large complex of military buildings (known as the Military Reserve) around Fort Hill. The Chavonnes Battery (previously known as the Waterkasteel, Groote Battery, Mauritz Battery) was built between 1714 and 1725 at the instigation of Governor Pasque De Chavonnes. He considered Table Bay to be poorly defended and ordered the construction of a large fortification on a promontory of land extending into Table Bay. The Battery, armed with heavy cannons was ideally positioned to defend the Table Bay anchorage. Besides being a defensive facility, the Battery served as an outpost, a prison and a slave lodge throughout the DEIC occupation. Its one time commander was Estienne Barbier who led a freeburgher revolt after which he was hung, drawn and quartered at Gallows Hill. 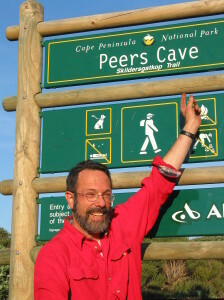 Peers Cave is situated in the Fish Hoek Valley on the Cape Peninsular of the Western Cape. 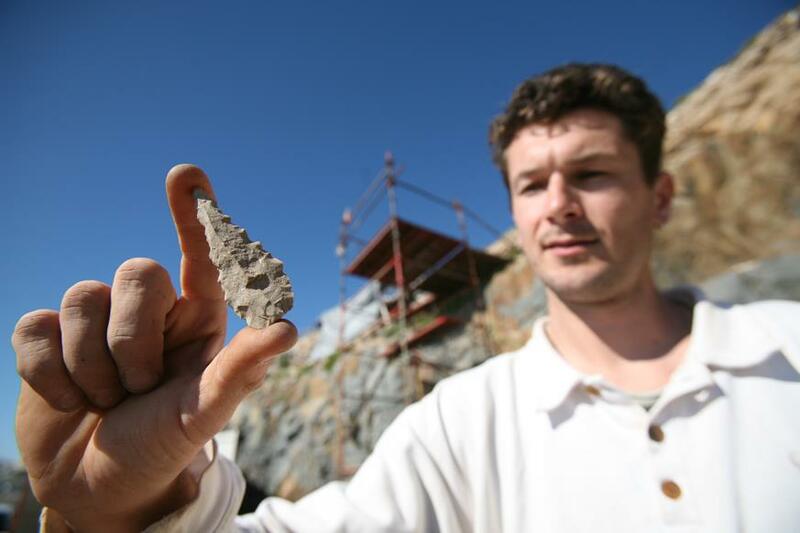 It was previously known as Skildegat Kop (after its rock paintings), and was renamed after the Peers, a father and son team, who extensively excavated the cave from 1927. Their work produced 12 skeletons, including the rather famous Fish Hoek Man, previously believed to be dated from the upper Pleistocene. The remaining skeletons were more reliably dated to the Later Stone Age (LSA) and were found in association with ostrich eggshell beads, shell pendants, rusted iron, a leather bag, fragments of woven reed, mother-of-pearl ornaments, pieces of rope, bored stones, bone awls, and arrow points (Stynder 2009). Members of the ACO were part of the international collaboration with Prof Klein from Stanford and Dr. Cruz-Uribe from the University of Arizona that excavated at Duinefontein 2 after the completion of the Koeberg Nuclear plant. 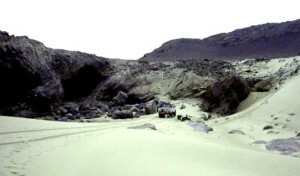 The team were there between 1997 and 2001 to further the research that had begun in 1975 by Prof Klein. 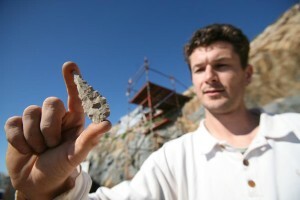 The new research aimed firstly to characterise the spatial arrangement of bones and stone artefacts, their types and the numbers, damage to bones and artefacts, and other variables to reveal the origin of the bone–artefact association, with the ultimate goal being to estimate the nature and extent of human involvement at the site, and possibly at other sites to which it may be usefully compared. (Adapted from various publications). BOG1 was discovered when Alexcor diamond miners bulldozed sand from a gully in the local schist bedrock and exposed a shallow, fossiliferous shelter in the gully wall. Sand removal had also revealed another shelter to the north (BOG2) that contained a residual stratified shell midden. The mine geologist notified Prof John Parkington who subsequently recovered a small bone sample from BOG1. 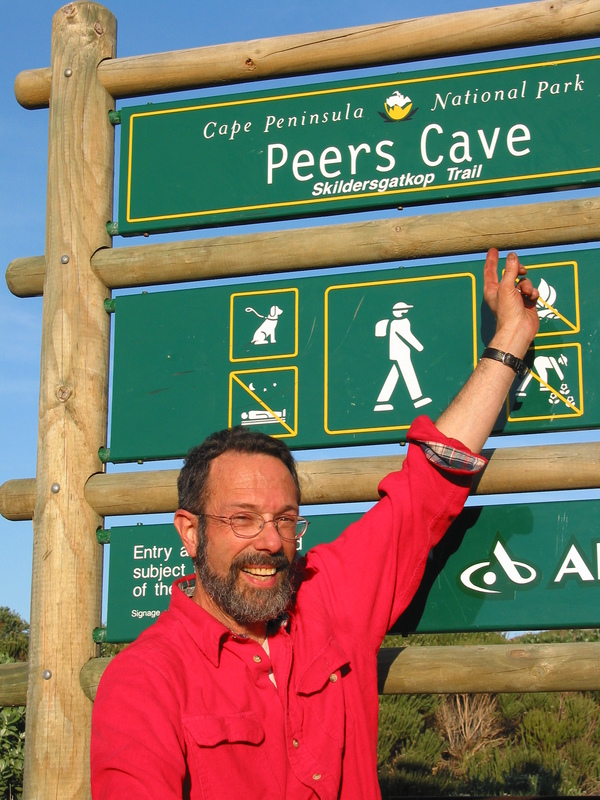 Unfortunately, the mining had damaged or removed much of the deposit from both shelters, but in November 1994 and April 1996, with funding provided by Prof Richard Klein from Stanford, Dave Halkett and Tim Hart excavated the surviving deposits in both shelters. 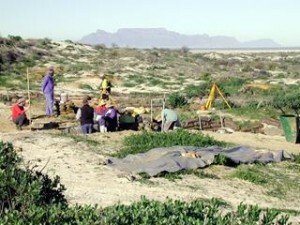 South Africa is unique for the discovery of deeply stratified shell middens that predate 50 thousand years ago. Sites of similar antiquity in Morocco, Algeria, Libya, Lebanon, Italy, France, and Gibraltar have produced small numbers of intertidal shells, sometimes with bones of coastal vertebrates, but only the ancient South African sites have provided true shell middens. In Africa, most of the Holocene shell middens are associated with Later Stone Age (LSA) technology, but in South Africa the much older shell middens have Middle Stone Age (MSA) association, unlike the Holocene middens that have been found on every inhabited continent (Erlandson 2001; Erlandson & Moss 2001). 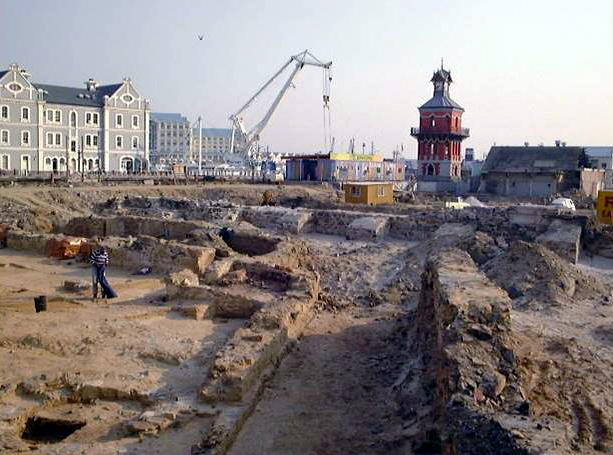 The Archaeology Contracts Office was asked by Pezula Private Estate (Pty) Ltd to assess the site of a proposed swimming pool in front of one of the famous Noetzie “castles” along the Western Cape coast near Knysna. A short way to the east, the Noetzie River enters the sea via an estuary and rocky shoreline is found at either end of the sandy beach providing optimal foraging opportunities for shellfish.